Newtown pupils aiming to take the title of Hampshire's Happiest School! LAUGHTER is contagious – and a simple smile can brighten up a person’s day. Pupils at Newtown CE Primary School are hoping to take the title of the happiest school in Hampshire, simply by making other people smile. Our school is looking to gain the first Happy School accreditation in Hampshire by doing things like spending time with a nearby care home and working alongside the local church. Happy School accreditation is given to schools that complete Art of Brilliance’s Brilliant Schools programme, promoting wellbeing and positivity. 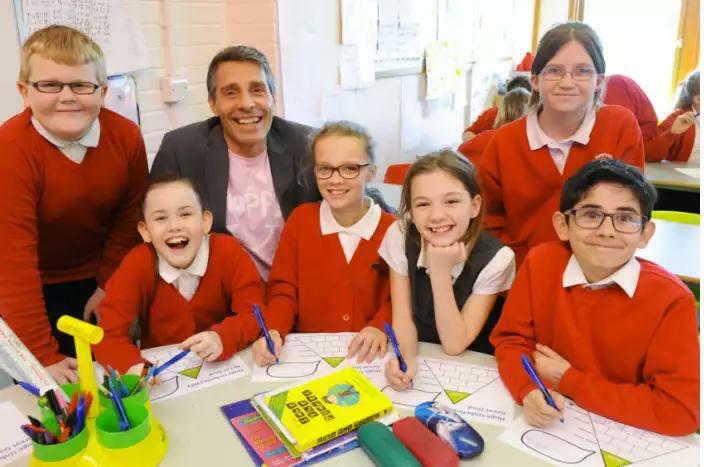 The school has been working alongside author Andy Cope, writer of popular children’s books such as the Sky Dog series and The Art of Being Brilliant. Headteacher Emma Howlett says that achieving the accreditation would be great news for the school. According to Mrs Howlett, happiness is the key to a successful learning environment. She said: ‘We want to build a happy environment because that is when everyone will be working at their best. This will enhance the good work we already do. We already have a great curriculum and offer great opportunities for the children – this is just the next step on from that. We have a great community around us and we want to not only make our school a happy place, but also boost the happiness of everyone around us'.